It's been a year since the Animal Protection Act came into force and it is time to see who did what to enforce it. Several of good examples of local communities, which show that the problem caused by human inadvertence can be solved, are proof that the law can be implemented. Members of activist organizations Animal Friends Croatia and the Network for Animal Protection will celebrate the anniversary with a rally at Ban Jelacic Square in the city of Zagreb on Friday, October 26, 2018, at 11 A.M., the same day the Animal Protection Act was passed a year ago. 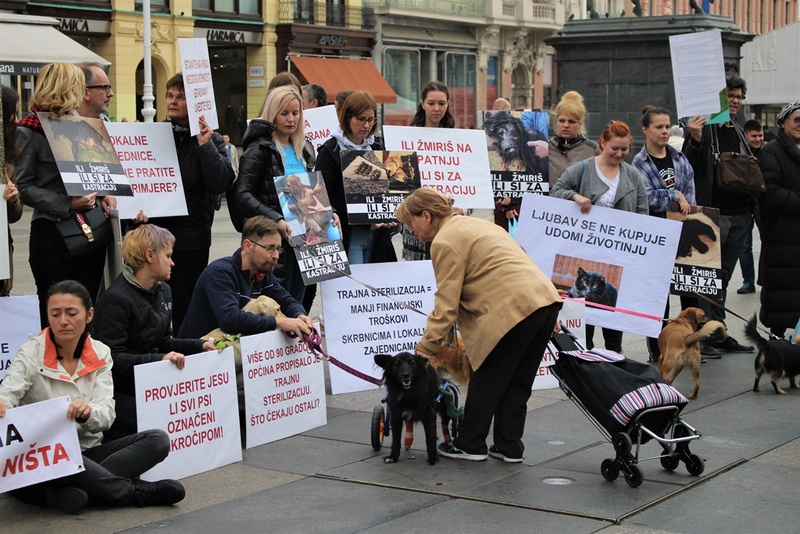 Joined by four-legged friends, many of whom were available for adoption, and carrying banners with clear and stirring messages, the activists will point to the need for local communities to implement the law in order to prevent the suffering of abandoned animals. A representative from the Network for Animal Protection said, "We call for mandatory microchipping of dogs, city-run dog permanent sterilization campaigns, efforts from shelters to improve their facilities and promote adoption, and education campaigns for the general population that promote adopting dogs and cats instead of buying them." 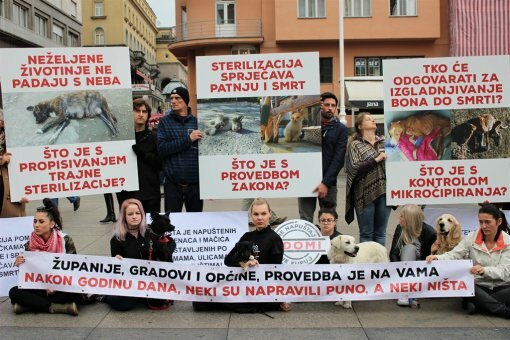 Animal Friends Croatia adds, "Let the story of Bono, a dog who wasn’t microchipped or neutered and was neglected until he starved, be a powerful inspiration for cities and municipalities to enforce the law, so that we can put an end to these terrible cases of unwanted, rejected and abused dogs and cats." The passing of the Animal Protection Act last year brought many useful legal tools. Those who have complied with the act have achieved concrete results for animals. They have shown that the law will not be implemented by itself, and that time, effort, and money will have to be invested to solve the problems facing Croatian animals. Those who have sought solutions have found them, and now the rest can follow their example. Three local communities still don't have shelters for neglected animals, and the communities that do have them don't have enough space for all of the homeless animals who need a place to live. In many cases, organizations and volunteers are taking care of abandoned animals by fostering them in temporary accommodations. 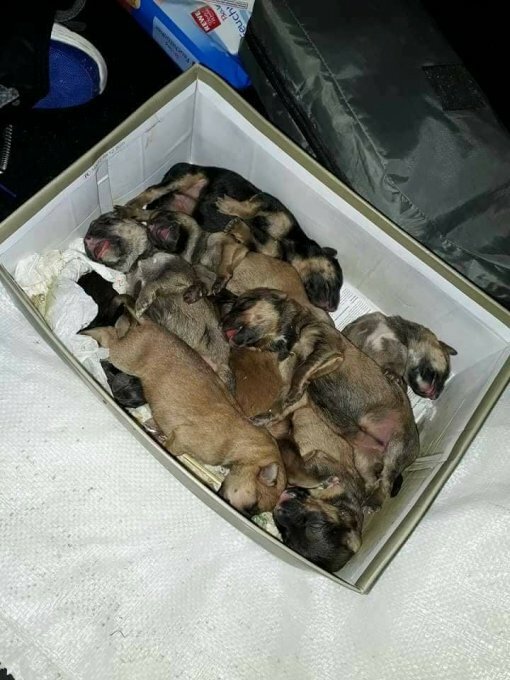 We witness far too much torture and desertion of unwanted animals, murders of newborn puppies and kittens, and a great number of animals that don't have their mandatory microchip. 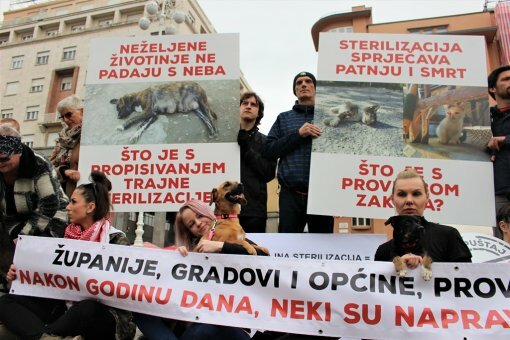 Over 100 local communities in Croatia implemented sterilization programs as a way of controlling dog and cat reproduction and ultimately decreasing the number of abandoned newborn puppies and kittens dying from hunger, thirst or untreated health issues while waiting for the worms to eat them aive or, if they survive, become strays looking for their homes. In some areas, volunteers are visiting every household to ensure that every dog gets a microchip. Some of them are also educating the public, advertising adoptable animals, offering reduced-cost sterilization, and finding other ways to help implement the new laws protecting animals. The Network for Animal Protection, with more than 40 member association, wants to send a message with this action that success of implementing the Law depends of equal devotion of all local and regional communities, wich ensures that the burden dosen't fall only on a small number of conscious citizens. Legal regulations apply equally for all local communities. All of them can implement the law because there are also good examples among them with thin budgets. The Network for Animal Protection, an association with with more than 40 members, wants to send the message that successfully implementing animal protection laws depends on effort and commitment from local and regional communities, which ensures that the burden doesn't fall solely on a small number of conscious citizens. Legal regulations apply equally for all communities. Examples of success even from areas with meager budgets demonstrate that following the guidelines of the Animal Protection Act is accessible to all. There is no excuse for the towns and communities that haven't enforced mandatory microchipping in their area. The same goes for the areas that haven't successfully enacted sterilization programs and other exception areas which they don't need resources for that and the results can be seen immediately. It is time to ask who did what in this one year since the Animal Protection Act is in force and that the ones that didn't take the right steps according to law take responsibility for their actions, or to better say, their omission. 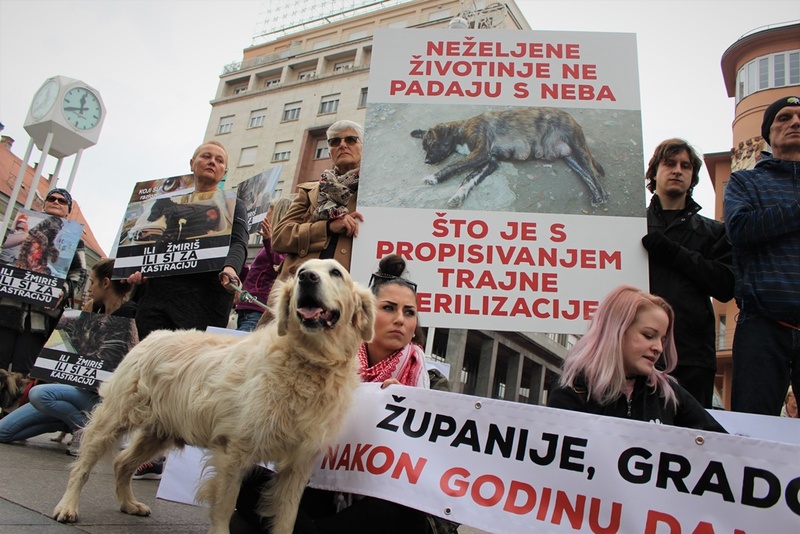 The anniversary of the landmark passing of Croatia's Animal Protection Act provides an opportunity to reflect on our successes and the examples of those who haven't done their part. Now is the time for those who haven't taken the right steps according to the law to take responsibility for their actions, or lack thereof. For more information about the Animal Protection Act and good practices regarding its implementation, click here.